Washington Hardware Store Insurance. Hardware stores sell a variety of merchandise for professional or do-it-yourself maintenance and repair projects for homeowners, renters, handymen, and contractors. Products offered include tools, building materials and supplies, lumber, plumbing, heating, air conditioning and electrical fixtures. Some also sell sporting goods, bicycles, gardening supplies, lawnmowers, prepackaged fertilizers, insecticides, pesticides, outdoor furniture, plants, clothing, toys, and automotive supplies. Some operations fill and refill LP gas for campers and grills or provide a pickup and dropoff point for an LP gas dealer. Many hardware stores provide for the rental of various types of equipment from carpet cleaners to yard and garden machinery, to chainsaws or other equipment. Most hardware stores offer repair services for the items they carry. Some offer window glass and screen replacement services if the customer brings the frame to the store. Delivery and contracting services for interior design, painting, wallpapering, flooring installation, or other building projects may be available, either through their own employees or through independent contractors. As the owner of a hardware store, you offer your customers and your community a necessary service. But are you also considering the liabilities you face - the same liabilities that all business owners face in today's economy? We live in an increasingly litigious society; there is a subsect of people who are continually on the lookout for reasons to be offended or to claim injury or damage. And there are also many real perils involved in business operation that can cause injury or damage to those that you deal with on a daily basis. For these reasons, it is important to purchase the right level of Washington hardware store insurance for your business. Washington hardware store insurance protects your shop from lawsuits with rates as low as $37/mo. Get a fast quote and your certificate of insurance now. 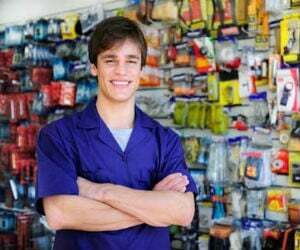 Why Do Hardware Stores Need Business Insurance? As of 2014, there are around 16,000 hardware stores doing business in the U.S., providing jobs for upwards of 140,000 people. The hardware store industry accounts for around $24 billion each year in revenue. As you can see, this lucrative business leaves lots of room for potential liabilities that can cripple your business and leave you reeling financially. A customer may slip and fall on a freshly mopped floor, becoming injured when they collide with the sharp edges of shelving, fixtures, or other items. Costly computer equipment may become inoperable because of a power surge or operator error. Your employee may cause a serious automobile accident while out making a delivery, and you'd be left on the hook for any damages arising as a result. These are just a few of the examples of potential problems that could result in liability or damage claims against you. Discussing your potential hazards with a licensed agent makes senses. Your agent can review your individual risks and risk tolerance to determine which types of liability and property policies as well as other Washington hardware store insurance your hardware store may need. A WA commercial insurance policy is a necessary purchase for all hardware store owners. This Washington hardware store insurance policy is typically sufficient to provide the full coverage your store needs for its inventory and all of your equipment, including your computers, fixtures, shelving, cash registers, and more. Because inventory changes over time, it is invariably a good idea to sit down with an agent and review your existing coverage every few years to make sure you are still protected to the fullest. Chances are good that your hardware store owns several pieces of expensive machinery such as paint shakers and key-cutting equipment. For this reason, protecting that valuable property with a supplemental Washington hardware store insurance policy known as equipment breakdown insurance makes sense. This type of coverage, sometimes referred to by the name "boiler and machinery coverage" can compensate you for any breakdown in this equipment. Air conditioning, fuse boxes, and other types of mechanical equipment in the store can be covered by this policy as well. It may even compensate you for the income you lose if this machinery is on the fritz and being repaired. Bear in mind that almost all Washington hardware store insurance policies have an exclusion for flood damage. If your business lies in a flood-prone region, look into a supplement for commercial flood insurance. A main component of any Washington hardware store insurance policy is commercial general liability coverage. This is a type of coverage that provides coverage for legal defense costs and any financial awards associated with bodily injury claims or property damage claims against your business. A common claim is 'slip and fall'. In addition, if your business is sued because of selling a product that causes property damage or bodily injury, this policy also usually offers product liability coverage. Pollution Liability Coverage: If your store sells a lot of chemicals, including fertilizers and other chemicals, you may need to look into pollution liability coverage. WA Commercial Auto: Protect your company-owned vehicles with commercial auto coverage. Hired and Non Owned Autos: If you rent trucks or if employees use personal autos in the course of doing business for you, this policy provides protection against any liabilities, damages, and injuries that may result. Worker's Compensation - Workers comp is required in most states by law for any non-owner or partner employees. WA workers comp pays lost wages and medical costs when an employee becomes injured or ill due to a work-related peril. Business Income - If you experience a business stoppage due to a covered peril, then this Washington hardware store insurance provides income while you rebuild, move, or otherwise get your business up and running again. Employment Practices Liability Insurance (EPLI) - Avoid the damage when someone claims you were unfair in your employment practices with this coverage. Premises liability exposure comes from slips and falls due to public access to the premises. Aisles must be adequate and free of debris. Flooring must be in good condition with no frayed or worn spots on carpet and no cracks or holes in flooring. Steps and uneven floor surfaces should be prominently marked. Sufficient exits must be provided and be well marked with backup lighting systems in case of power failure. All goods should be kept on easily reached shelves so that customers do not pull down items on themselves. If employees make deliveries or install purchases for customers, there could be a property damage exposure to the customers' premises. If the store recommends independent contractors, certificates of insurance should be maintained to verify that the contractors carry adequate limits of liability. Products liability exposure is normally low unless there is direct import of products or assembly and repair of equipment and bicycles. 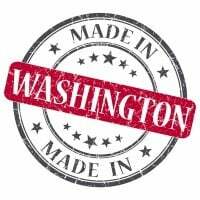 Foreign-made items should come from a domestic-based wholesaler. Any direct importer should be considered as a product manufacturer. Environmental impairment exposure comes from the mixture of paints, disposal of insecticides or pesticides, and any potential for used oil, degreasers, solvents, and batteries. All disposal must meet EPA standards. Workers compensation exposure is from lifting that can cause back injury, hernias, sprains, and strains, and also from slips and falls. Employees should be provided with safety equipment, trained on proper handling techniques, and have conveying devices available to assist with heavy lifting. Housekeeping in storage areas, especially during peak times, is vital in preventing trips and falls. If employees are involved in processing, repair work or lumberyard operations, there is the exposure to cuts, puncture wounds, burns and eye injuries. Safety measures such as goggles must be in place. In any retail business, hold-ups are possible so employees should be trained to respond in a prescribed manner. Drivers of delivery trucks can be injured in accidents. Installers can suffer knee and foot injuries, and eye, skin and lung irritations from exposure to adhesives and other chemicals. Property exposures can be high due to large amounts of combustible materials and the operations performed on premises, which can include repair services and LP gas filling, refilling, or storage. All flammables must be properly stored, separated, and controlled. If the store sells ammunition or loads black powder, the exposure increases significantly. Proper controls must be in place. The electrical load may be heavy if electrical lighting, equipment and machinery is sold due to floor models being plugged into numerous outlets for customers to try out prior to purchase. Wiring must be up to date and meet current codes. There should be no smoking on premises. If there are high-value or target items such as bicycles, sporting equipment, guns, ammunition and machinery, theft may be a concern. Appropriate security measures must be taken including physical barriers to prevent entrance to the premises after hours and an alarm system that reports directly to a central station or the police department. Inland marine exposures are from accounts receivable if the store offers credit, computers to transact sales and monitor inventory, equipment floater if forklifts are used in the warehouse, goods in transit if deliveries are made, and valuable papers and records due to customers' and vendors' records. Backup copies of all records, including computer records, should be made and stored off premises. Commercial auto exposure can be high if delivery services are provided. Drivers should have a valid license and acceptable MVR and be trained in handling unwieldy loads that may shift during transport. Vehicles must be regularly maintained with full documentation kept. These are just a few of the types of coverage you may need. Talk to your agent to get a full picture of the needs you have and how to best meet those needs when devising the right hardware store insurance package for your store. Request a free Washington Hardware Store insurance quote in Aberdeen, Anacortes, Arlington, Auburn, Bainbridge Island, Battle Ground, Bellevue, Bellingham, Bonney Lake, Bothell, Bremerton, Burien, Burlington, Camas, Centralia, Chehalis, Cheney, Clarkston, College Place, Covington, Des Moines, DuPont, East Wenatchee, Edgewood, Edmonds, Ellensburg, Enumclaw, Ephrata, Everett, Federal Way, Ferndale, Fife, Gig Harbor, Grandview, Hoquiam, Issaquah, Kelso, Kenmore, Kennewick, Kent, Kirkland, Lacey, Lake Forest Park, Lake Stevens, Lakewood, Liberty Lake, Longview, Lynden, Lynnwood, Maple Valley, Marysville, Mercer Island, Mill Creek, Monroe, Moses Lake, Mount Vernon, Mountlake Terrace, Mukilteo, Newcastle, Oak Harbor, Olympia, Othello, Pasco, Port Angeles, Port Orchard, Port Townsend, Poulsbo, Pullman, Puyallup, Redmond, Renton, Richland, Sammamish, SeaTac, Seattle, Sedro-Woolley, Selah, Shelton, Shoreline, Snohomish, Snoqualmie, Spokane Valley, Spokane, Sumner, Sunnyside, Tacoma, Toppenish, Tukwila, Tumwater, University Place, Vancouver, Walla Walla, Washougal, Wenatchee, West Richland, Woodinville, Yakima and all other cities in WA - The Evergreen State.